14u-17u – Elite training and tournament preparation for OVA club athletes training to compete in the OVA Beach Tour, Provincials and/or Nationals. Features: Training is focused on optimizing gameplay strategies and scoring opportunities. 12u-14u & 15U-17u – Training for indoor club athletes or high school aged students looking to keep their skills sharp for the upcoming season. Athletes are organized by age and ability to ensure training occurs with similar talent levels. Features: 2 on 2 skill work, drills and gameplay. With only 2 people per team, players will receive more passing, setting, hitting and serving reps. Training in the sand naturally increases vertical, speed and agility. Gr. 7/8 – Skills, Drills and Gameplay for those seeking to learn the foundation of the sport. 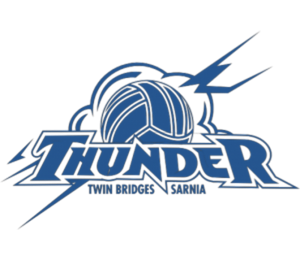 Features: A ton of volleyball played on teams of 4s, 3s and 2s focusing on technical aspects of beach and indoor volleyball. Extra off court activities are included to give physical and mental breaks throughout the day. Experienced and encouraging coaches trained to Instil the Love of the Game! A great experience that one will remember for a lifetime! !